Pearlie Hodges, the Center’s Director, is a Licensed Clinical Social Worker with over 23 years working with families, children and the military community. She also holds a Master’s Degree in Public Administration from the University of South Carolina. Ms. Hodges served 23 years in the Army both on active duty and in the Reserve participating in 3 major deployments. She has a strong passion for helping individuals and families manage the sometimes overwhelming issues related to military life---because she's "been there." Ms. Hodges uses a variety of interventions including Cognitive Behavior Therapy, Logotherapy, Prolonged Exposure Therapy and Mindfulness. Doug Daniels serves as the administrative assistant and has been with Life Matters for 3 1/2 years. He is often the first face you see or voice you hear when you call or visit our office. Doug also manages patient files, receives co-pays, schedules appointment, provides reminders calls and assists the director with special projects. Doug is originally from Laurinburg, NC. He is a member of the inaugural graduating class of Scotland High School. He completed two years of course work at Emmanuel College with a major in English. 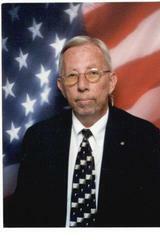 Doug is a man of faith and a Vietnam Veteran who served in the United States Air Force. He has many years' experience in retail business and office administration. Doug and his wife, Donna Lynn, have been married for 39 years. They have two children and four grandchildren. 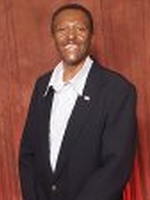 John Hodges serves as the Center’s Business Manager. He ensures that all fiscal aspects of the center are managed in a way that is above reproach. He also provides billing for the clincal staff and resolves all insurance reimbursement issues. Mr. Hodges is a Vietnam, Iraq, and Desert Storm Veteran who recently retired from the Army as a Command Sergeant Major with nearly 40 years military service. He holds an Associate’s Degree in Business Management and several military awards including the Bronze Star. John will also be active in providing life skills training on such topics as basic financial literacy and decision making. 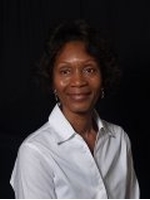 Priscilla Burton has over 27 years experience in the behavioral health field. She has a heart for helping people and has provided therapeutic interventions and case management services with different populations from adolescents to adults to the elderly. Ms. Burton's social work eduction began at North Carolina A&T State University where she earned her Bachelor's of Science. Her Masters in Social Work was awarded from the University of Pittsburgh. Ms. Burton uses cognitive behavioral therapies to address a variety of challenges clients may experience, including adjustment diisorders with stress, anxiety and depressive symptoms. Through exploration with the client of various coping strategies, emotional regulation strenghtening, and cognitive restructuring ---positive changes develop. Priscilla finds reward in helping others achieve long lasting and constructive change in their problem-solving skills, self-perceptiions, thoughts, actions and social intereactitons. Romanda Grice is a Licensed Professional Counselor and National Certified Counselor with over 14 years of experience in the Behavioral Health field. She enjoys working with adults, couples and families. But she has a keen passion for working with children and adolescents. Nothing brings more value to what she does than helping others achieve and maintain their most healthy level of overall functioning. Mrs. Grice’s strong passion for helping people began well before she earned her Associate of Arts Degree in Public Service from Florence Darlington Technical College. That passion coupled with a gift of compassion only grew stronger as she pursued her Bachelor of Science in Sociology from Francis Marion University in South Carolina and her Master of Arts Degree in Professional Counseling from Webster University in Myrtle Beach, SC. Mrs. Grice uses a variety of therapeutic models to meet the needs of a dynamic and diverse clientele. Cognitive Behavioral Therapy, Reality Therapy, Family Systems Therapy, Person-Centered and Solution-Focused Therapy are just a few of the treatment modalities she uses in her efforts to help cllients work through problems with anxiety and panic attacks, depression, behavioral issues, anger and aggression, conflict resolution, communication problems, relationship and marital conflict, family turmoil, workplace issues and much more. 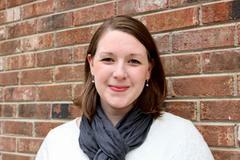 Jamie Gaskin is a North Carolina board certified Licensed Professional Counselor. She has over 5 years experience working with local non-profit organizations providing counseling services to children, teens, adults and families. Counseling college students and young adults is something she is deeply passionate about. After receiving her Bachelor of Arts in Psychology from Bryan College in Dayton, TN, Jamie continued to pursue her counseling education at Dallas Theological Seminary in Dallas, TX where she earned her Master of Arts degree in Counseling. Ms. Gaskin uses an integrated approach in counseling incorporating a variety of techniques from Cognitive Behavioral Therapy, Solution-focused and Person-centered therapy to meet each individual client's needs. She also enjoys using elements of play therapy and art therapy when working with children and families. Tayloring her approach to each client enables her to help individuals work through depression, grief, anxiety, trauma, relational conflict, academic struggles and much more.